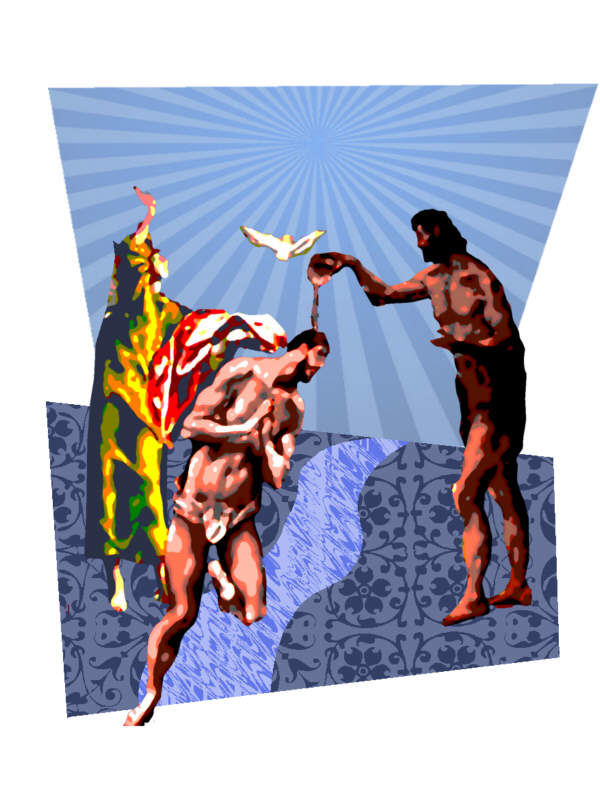 At his Baptism Jesus was revealed as the Son of God and began his work of bringing the vision of God, his justice and his liberation to his people. At our baptism each of us is given a share in this mission, so we become children of God. Church Unity Week commences on Friday, January 18th and will continue until Friday, January 25th. During this time we are asked to pray in a special way for unity among all Christians. FRIDAY, JANUARY 25 - 8.00 P.M.
We are all invited to attend. baptism and to prepare them better for their responsibilities as Christian parents. The new initiative will entail the parents attending a one night course in St Michael's Family Life Centre, Church Hill. This course will take place on the third Thursday of every month. Parents must attend this course prior to the baptism of their child. To book a baptism parents are asked to contact the Parish Office to obtain a Baptism Information Pack. This initiative comes into effect this coming February for Baptisms in March with the first course on Thursday 20th February. A series of talks commencing with ‘Faith and Reason’ given by Fr Michael Drumm Saturday January 28th in Sligo Park Hotel from 10.45am to 3.30pm. Registration €10 including tea / coffee. January 22nd to February 2nd Theme: Raise the Standards. Holy Spirit help me to be alert and watchful for the unfolding of this day’s gifts of wonder, surprise and mystery. Amen. 1st : Is. 62: 1-5. 9-11; 2nd : 1 Cor. : 12: 1-11; Gospel: Jn. 2: 1-11. Thursday 17th St Anthony, abbot. Saturday 18th January: 8am LILY HUGHES Birthday Remembrance; 10.30am Month’s Mind RITA McKIERNAN. BINGO - GILLOOLY HALL - TONIGHT’S JACKPOT €1100!! Tonight, January 13th at 9pm. The Society of African Missions (SMA) has been assigned to Elphin Diocese for the Mission Awareness Programme for 2013. On the weekend of the 19th / 20th January Fr Fachtna O’Driscoll SMA will visit this Parish and speak at all Masses in our Cathedral. Brighten up January by coming along to the All Star New Year Variety Concert at the Radisson Hotel, Sligo on Friday 18th January at 8pm. Renowned Irish tenor James Nelson, country singers Michael Cleary and Breege Kelly, singer Lisa Stanley, comedian Frank Forde, Sligo Academy of Music, The Cast of ‘Oliver!’, The Jazz Lads, The Rosses Point Golf Club Male Voice Choir, ballad singer Liam Gannon, Sligo Community Youth Choir, Yama Hara Gymnasts, Siobhan McDonnell Irish dancers, Beat It Hip Hop Dancers, sean nos dancers and trad musicians are among the local entertainment acts who have generously committed their talent to the show, along with well-known music maestro Robert Fitzpatrick, who will be MC for the evening. Fantastic raffle prizes include a pair of tickets to see Rod Stewart in concert in Dublin! 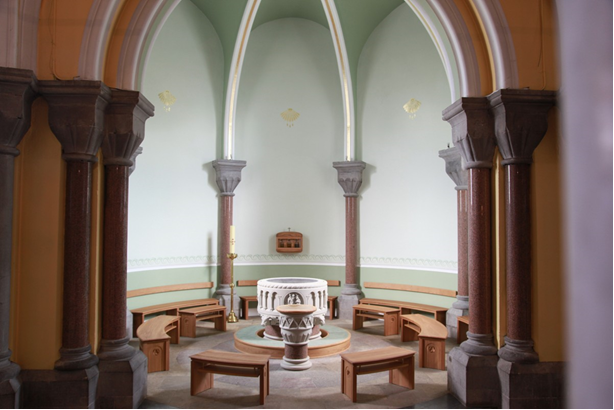 To mark this very special year, The Year of Faith, a Parish Mission has been organised, in Riverstown, for all those wishing to gain a greater insight into what their faith means to them and to celebrate the gift of faith that each of us has been given. 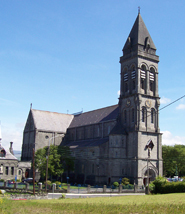 A number of specially chosen presenters have been invited to visit the Parish of Riverstown over a period of four evenings commencing in The Church of the Sacred Heart, Riverstown, on Thursday, February 7th at 8pm and ending with an evening of song and celebration on Sunday, February 10th. February 10th - doors open at 7.30pm for a Concert with Liam Lawton and the Riverstown Folk Group commencing at 8pm. Tickets for the concert , which cost €20, are now available at the following the locations: McTiernan’s Daybreak, Ballygawley; The Fayre, Collooney Roundabout, Sligo; Nairn’s Mace, Riverstown; Veritas, Adelaide St. Sligo. Taking place 18th September from Knock. Spiritual Director Fr John Loftus. Special discounted rate of €589 by 1st Feb. Group leader Sr Sheila Molloy. For details contact 086 382 1810. Taking place from 13-20 June (ex Dublin). 7 nights Recinto Hotel with Spiritual Director Fr Jim Murray. Cost €669 incl. Early booking discount of €100 (or €50 if booking deposit of €200 is received) by 1st Feb. For details call Martin Scanlon @ 9145491. New Spring/Summer brochure is now available detailing courses, seminars and services at the Centre. It can be emailed by request or posted. Contact 9170329, stmichaelsfamilylifecentre@eircom.net or visit www.stmichaelscentre.wordpress.com. Enrolment for courses takes place on Monday14th and Tuesday 15th January from 10am to 7pm and is on-going while place are available. 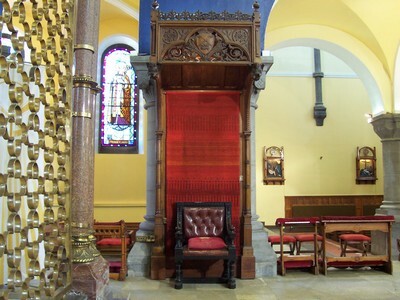 THE IRISH HEART FOUNDATION Church Gate collection takes place this weekend after all Masses. Thank you for your support. ST. JOSEPH’S YOUNG PRIESTS SOCIETY Monthly meeting tomorrow Monday 17th in the Cathedral at 11.00 a.m. New members welcome. SUMMERHILL COLLEGE PARENTS ASSOCIATION is on Monday, January 14th at 8.00 p.m. in Summerhill. N.C.B.I. John St, Sligo would welcome donations at their shop also unwanted gifts. For collection in Sligo area contact shop manager Christy Foy on 086 893 9682. Thank you. VOLUNTEER DRIVERS Needed to deliver meals on wheels to Maryville Hostel, Finisklin. Please contact Sligo Social Services if you can spare approx. 20 minutes once a week on 9145682. KEMPTEM MONTESSORI & AFTERSCHOOL CLUB, Westward Town Centre, The Mall. Limited free preschool places available for 2013. After-school places also available with collection from local primary schools. Contact : June Hunter @086 345 3559. SLIGO ACTIVE RETIREMENT ASSOCIATION Monthly meeting at 2.30pm in the Dominican Friary Hall on Tuesday Jan 15th. New members welcome.